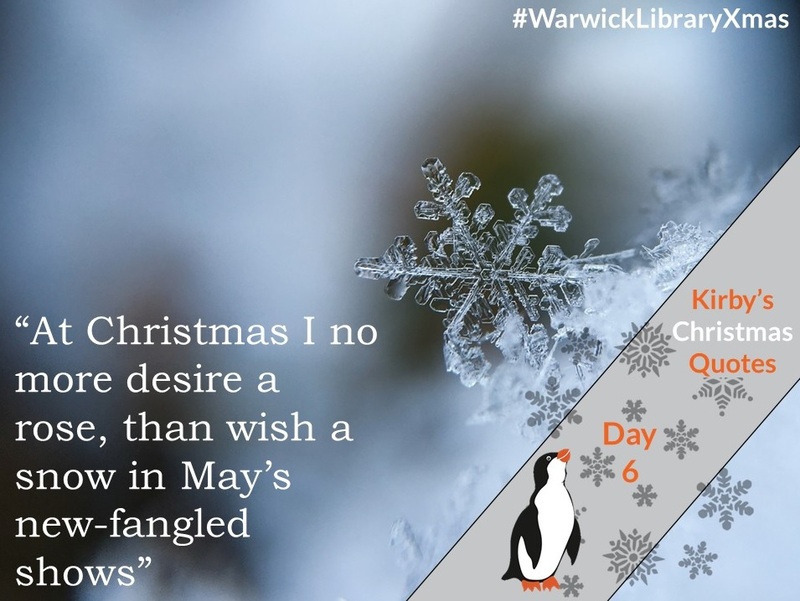 Last year our mascot Kirby sought out all the best seasonal book, film and TV recommendations from our friends and colleagues across the Library and further across campus. 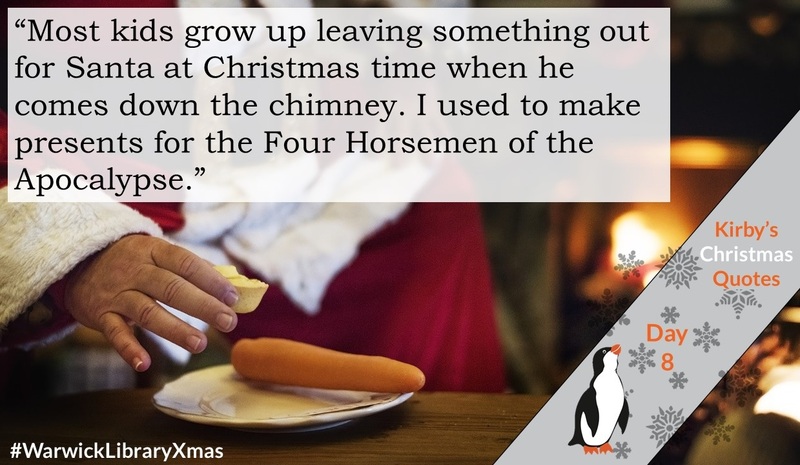 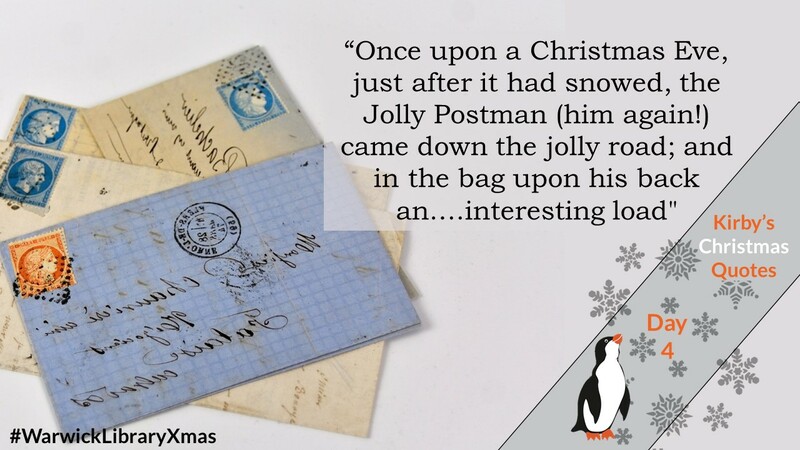 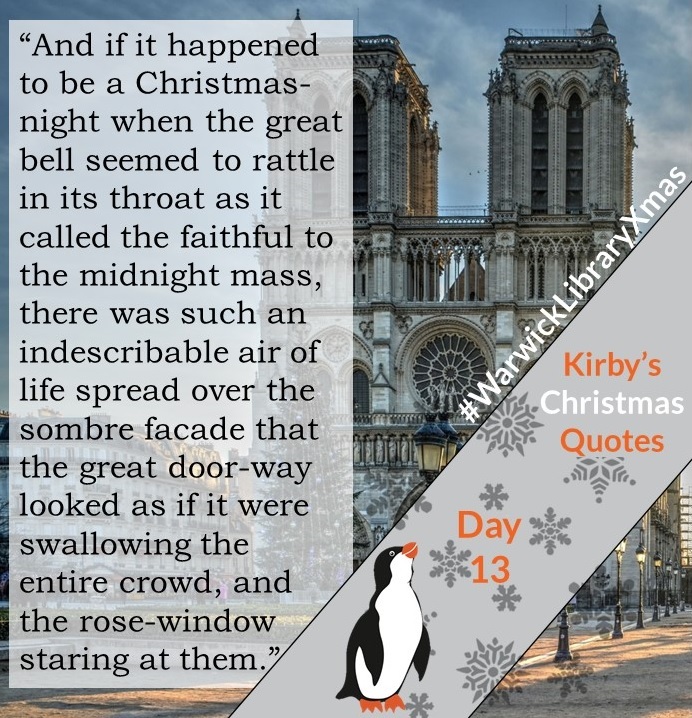 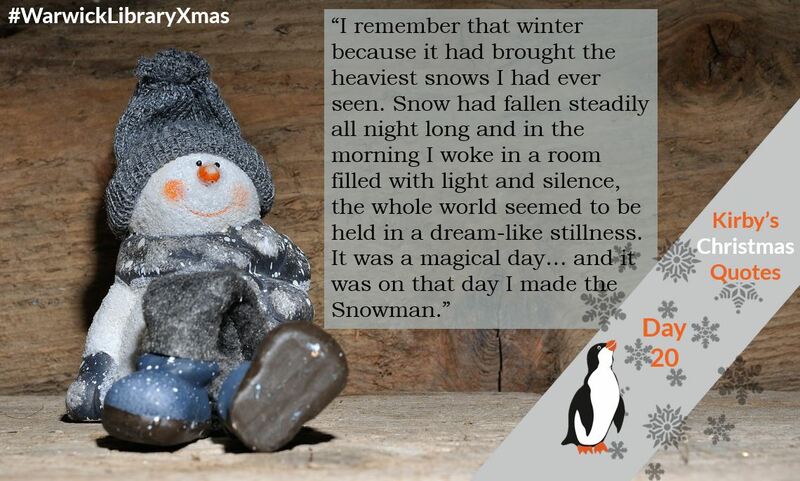 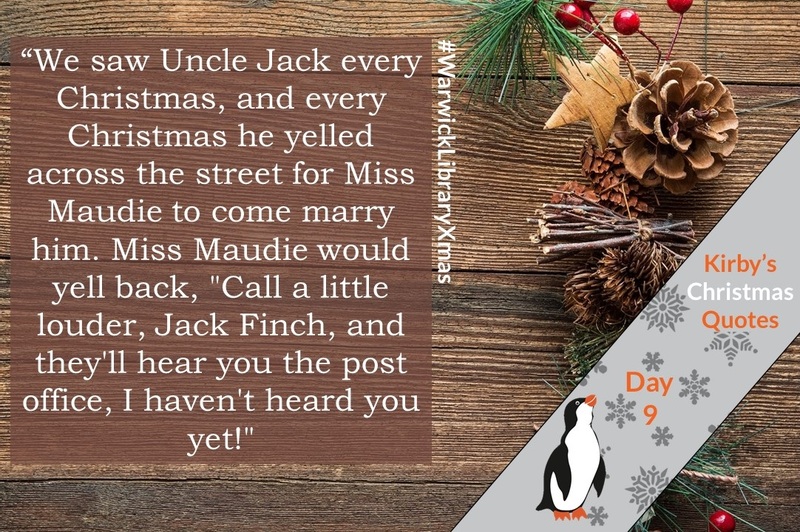 Although Kirby could quite easily have made another festive countdown of things that inexplicably didn’t make the cut (It’s A Wonderful Life, Mary Poppins, Die Hard), Kirby ensured the Library stayed on brand this year by reading a large pile of books and choosing the best Christmas quotes from literature. 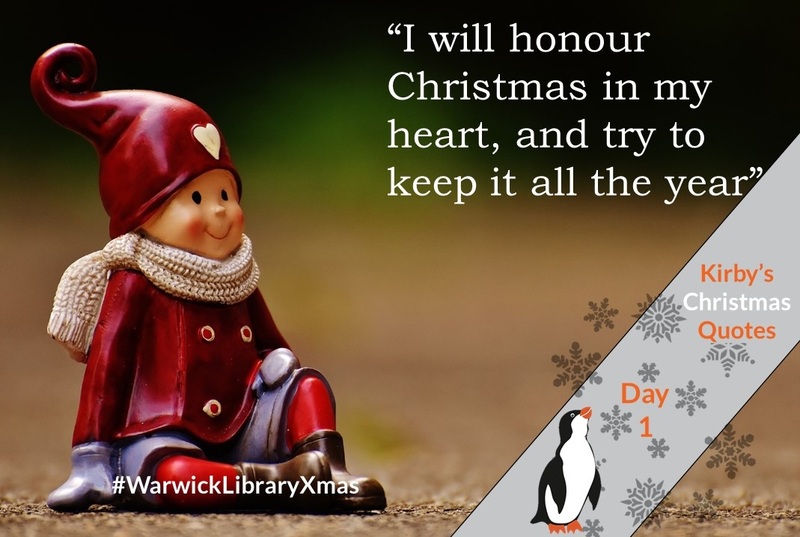 Amongst all of the quotes picked by Kirby, we can spot some recurring themes: the happiness and high spirits that Christmas brings (“I will honour to keep Christmas in my heart, and try to keep it all the year”, “Always winter but never Christmas”), light shining through the darkness (“She awoke on Christmas morning in that unmistakable light”, “the dazzling sunshine by day, and the starlight of the winter nights”, “the winter sunshine crept in”, “Thousands of lights were burning on the green branches”), and being with others (“I sincerely hope… that your beaux will be so numerous as to prevent your feeling the loss of the three of whom we shall deprive you”, “At Christmas every body invites their friends about them”). 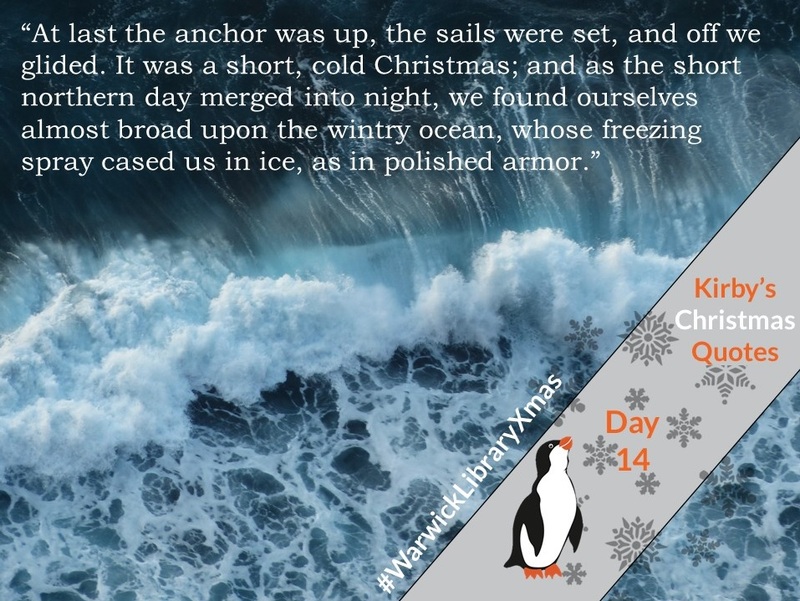 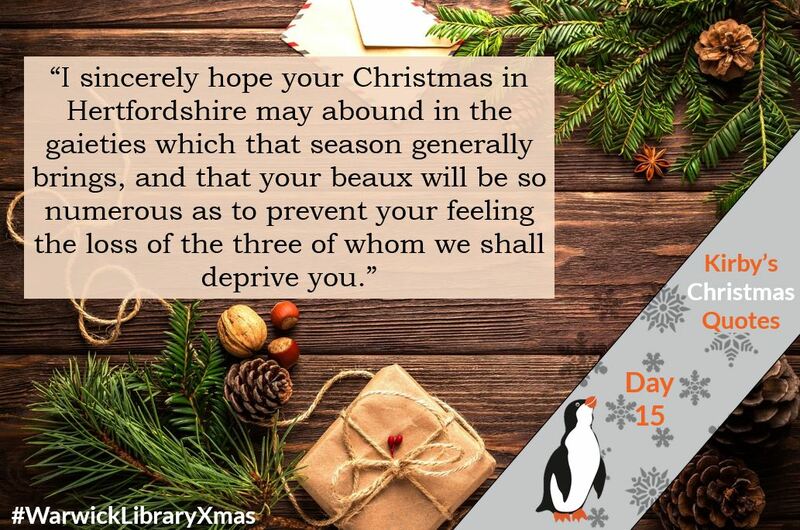 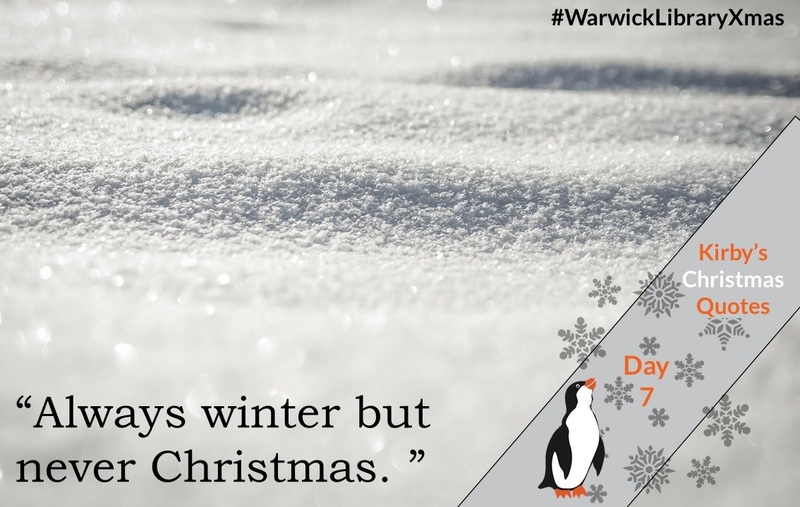 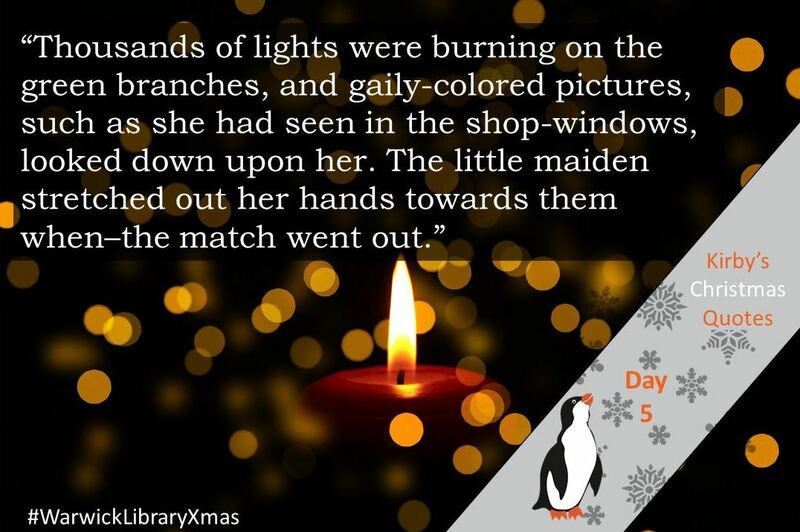 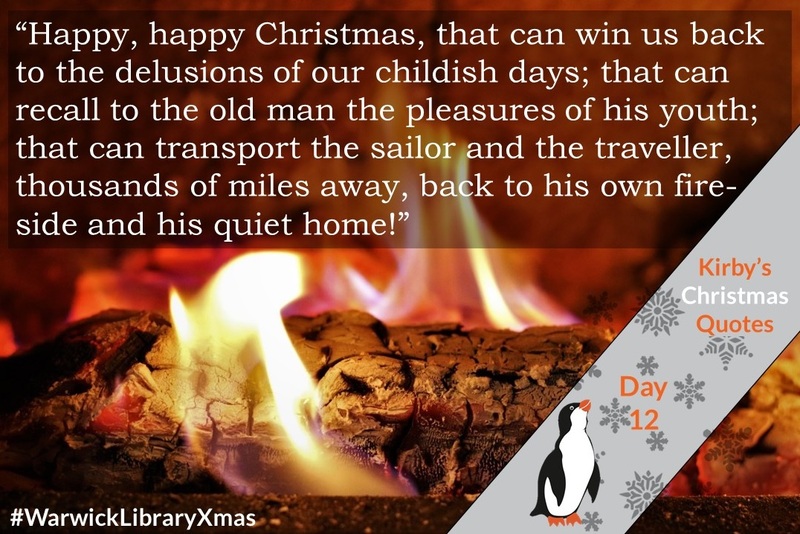 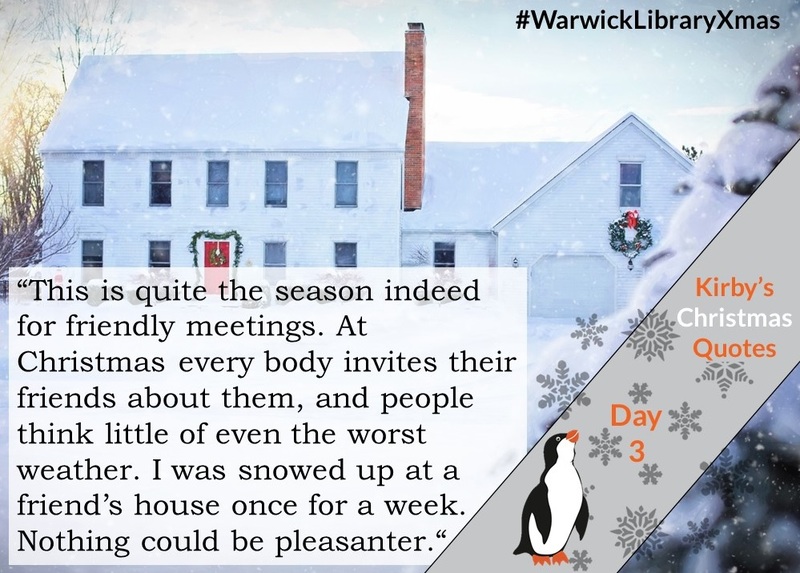 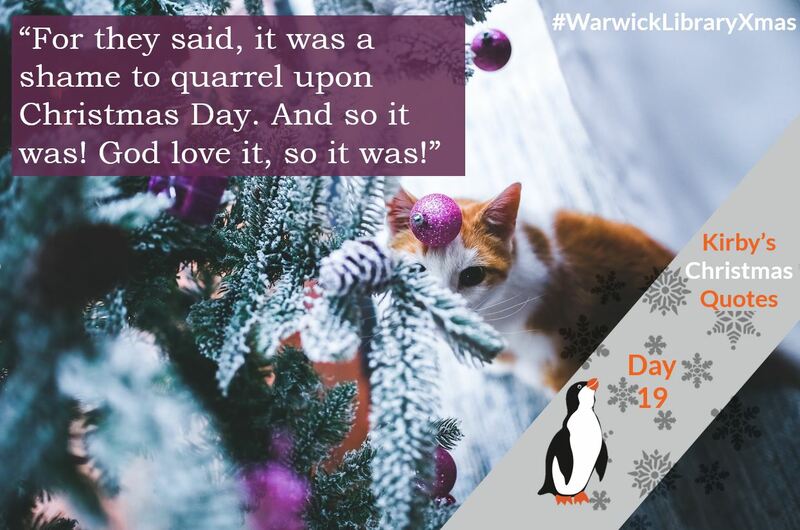 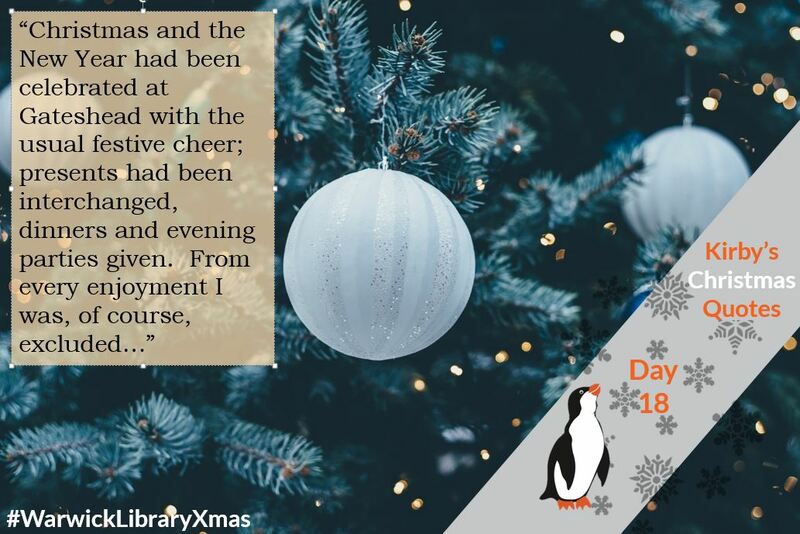 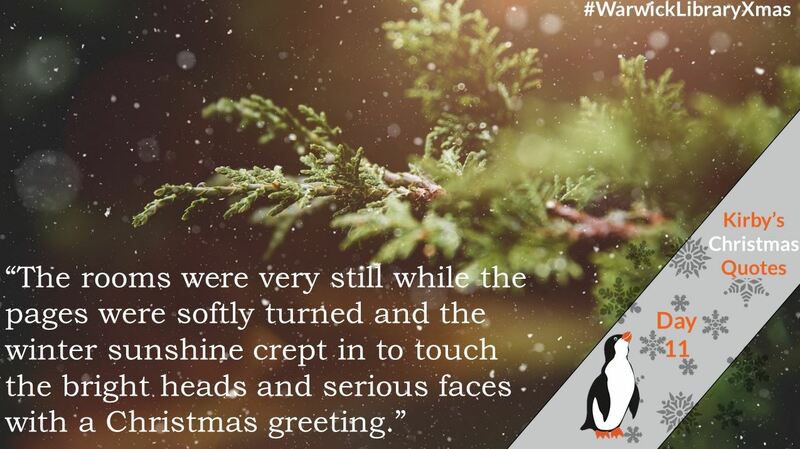 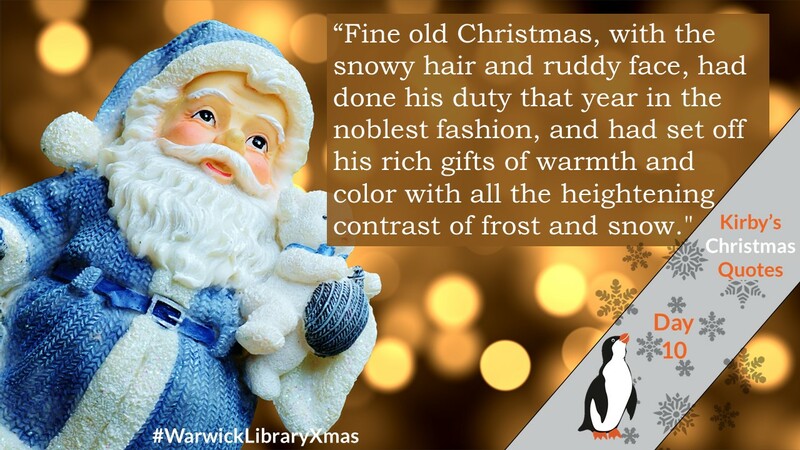 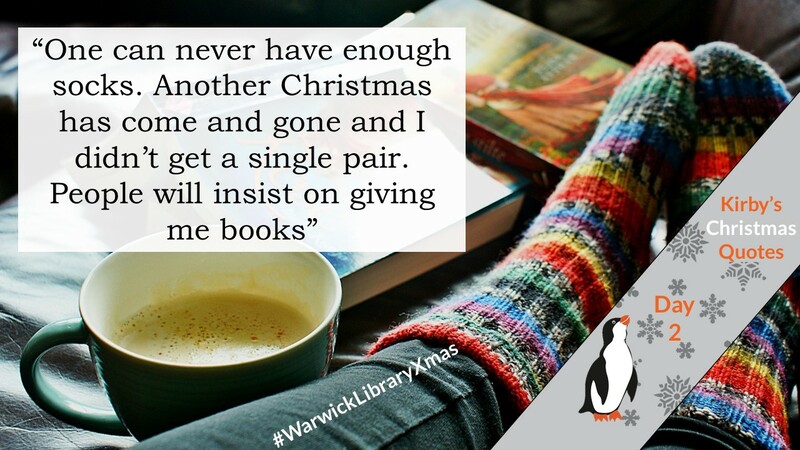 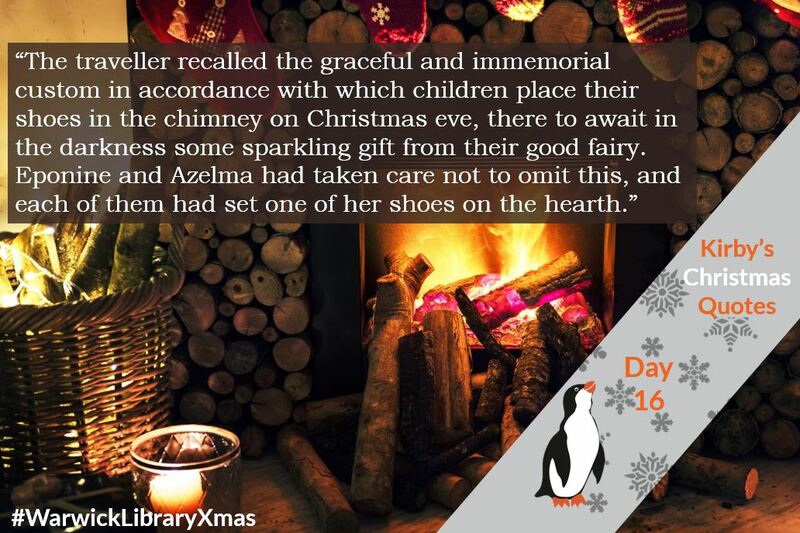 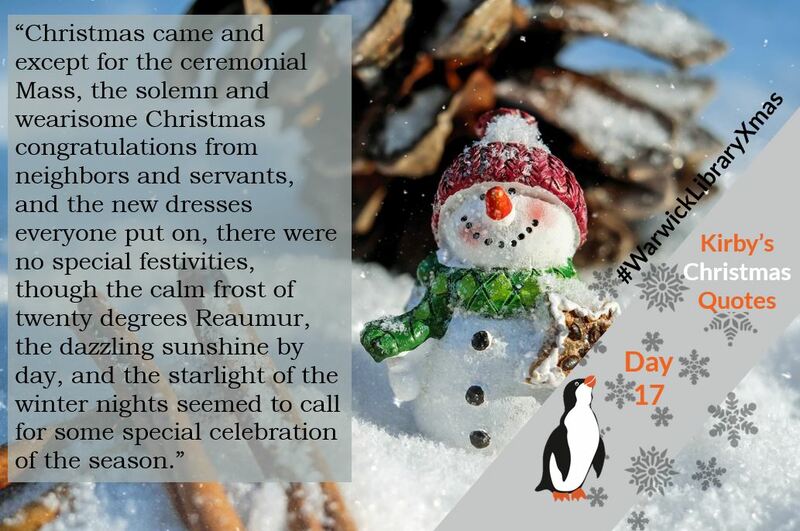 Here at Warwick Library, we hope your Christmas is full of happiness and high spirits, light, and the company of others – and above all else, full of books!